International and national printing associations from all over the world met last week, 9th June 2017, in Copenhagen to discuss sectoral trends and the future of print in the annual ‘Print Matters for the Future!’ conference. 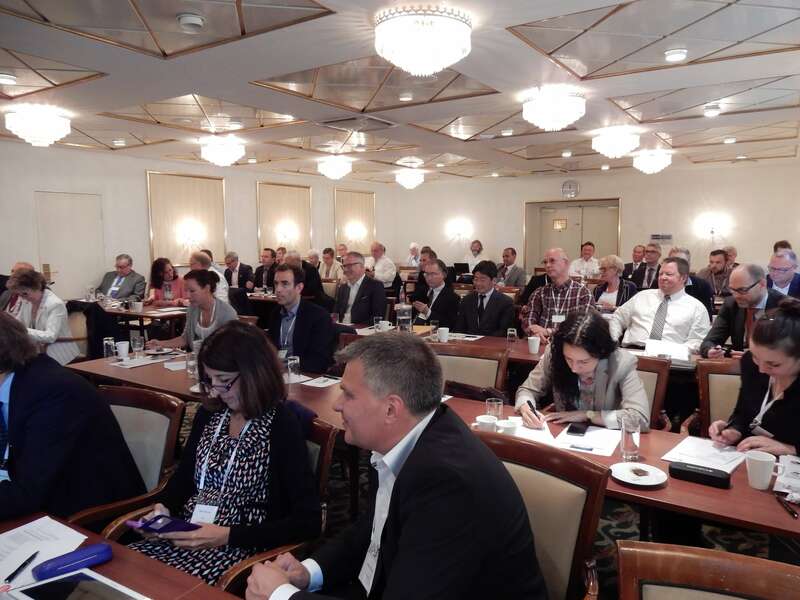 The event was organised by Intergraf (The European Federation for Print & Digital Communication), with support from the WPCF, in collaboration with this year’s host: Intergraf’s Danish member association Grakom. The ‘Print Matters for the Future!’ conference has quickly become a highly-anticipated fixture in the calendars of printing associations worldwide, with this year’s event attracting over 60 delegates from 22 different countries. This edition of the conference was attended by representatives of printing companies, as well as associations. This resulted in a larger number of delegates than in previous years, adding a lot of value to the event by encouraging more diverse discussions and extending networking opportunities for participants. Moderated by Michael Makin, CEO of the Printing Industries of America (PIA) and President of the WPCF, and Cees Verweij, Intergraf’s newly-elected President, delegates heard presentations from various experts about the future of print in a changing media and communications market. As usual, there was also a focus on important economic and sectoral trends. In light of the event taking place in Denmark, the Director of Grakom, Thomas Torp, kicked-off the Print Matters conference with a presentation about the Danish printing industry. This was followed by an in-depth look at the wider economic situation in Europe by Las Olsen, Chief Economist at Danske Bank, who confirmed that the near-term economic outlook is good, with more room left for recovery. Participants also heard from Wilhelm A. Soll, Managing Director of German printing company PrintPlanet, about innovative working practices in a digital printing company. Digital Strategist, Lecturer and Researcher at Leeds Beckett University Andy Lima followed, revealing consumer insights and expectations, including the trend “from Gutenberg to Zuckerberg”. Dominic Lyle, Director General of the European Association of Communications Agencies (EACA), then clarified print’s role in the wider communications mix from the point of view of advertisers, focusing in particular on the importance of data-driven communications because “data is the new oil”. Simon Biltcliffe, CEO of Webmart and Printelligence, went on to discuss print in the modern world, the importance of disruptive technology and how innovative mobile apps can help print customers. In the afternoon, Håvard Grjotheim, President & CEO of 07 Group in Norway and former President of Intergraf, moderated an expert panel which discussed ‘Preparing for the Future of Print’. The panel consisted of four printing and communications company leaders: Søren Henriksen of Stibo Printing Solutions (Scandinavia), Ulrich Stetter of Druckhaus Mainfranken (Germany), Anders Juel of Superego (Denmark) and Wilhelm Soll of PrintPlanet (Germany). Each of the panelists used their different backgrounds and experiences to offer advice about the direction of the printing industry. The next edition of the ‘Print Matters for the Future!’ conference is due to be held on Friday 1st June 2018 in Milan. Please contact Intergraf for more details.